Looking for a paintball shop in the Twin Cities? Here at Action Packed Paintball you can rent all of the equipment you need to play a fun game of paintball with friends. But if you are looking to purchase paintball guns and gear you may want to check out our Minneapolis location’s Pro Shop. When you enter the paintball shop for the first time you might feel overwhelmed with all of the items that are available. However, after getting a few questions answered you will feel right at home. Our staff members are all friendly and extremely knowledgeable. The paintball shop at Splatball allows you to keep stocked up on everything you need, as well as guns and masks you use to play and so much more. Looking to play some paintball with your new gear? When you go to Action Packed Paintball Games, the premiere paintball park in the Twin Cities, you will have a great time. This park is available for private games and you can walk-on if you have a group of eight or less. 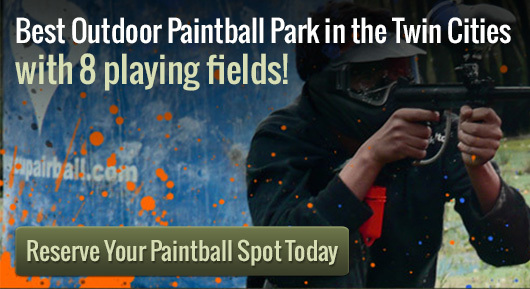 It is easy to reserve a spot at Action Packed Paintball Games. Their friendly staff and up to date gaming equipment is a great start to a fun game of paintball. You owe it to yourself to try this amazing game for yourself and see how much fun it is. Everyone in your party is sure to enjoy their time playing the game of paintball.